On days when the cold outside is biting at my nose and fingers, there's nothing better to warm me up than a cup of tea and a bath. Seriously, I thought it was cold in October but this week I learned that the Halloween chill was nothing compared to the bitterness of January! Luckily I have a kettle on hand, candles and a steaming bathtub full of Lush until I head back to uni. The other day I visited a temple with my family (so beautiful, I might have to write a post on it) and around the deity statues and prayer bowls were offerings of organic food and drinks. These teas were scattered around and I've actually tried them before but since then, Pukka have renewed their range a little and there are some brews in here that I've not even heard of! The whole box was £2.50, containing 20 bags of 5 different gorgeous tea blends and infusions. My favourite is the Elderberry and Echinacea at the moment because it tastes so bold and fruity. 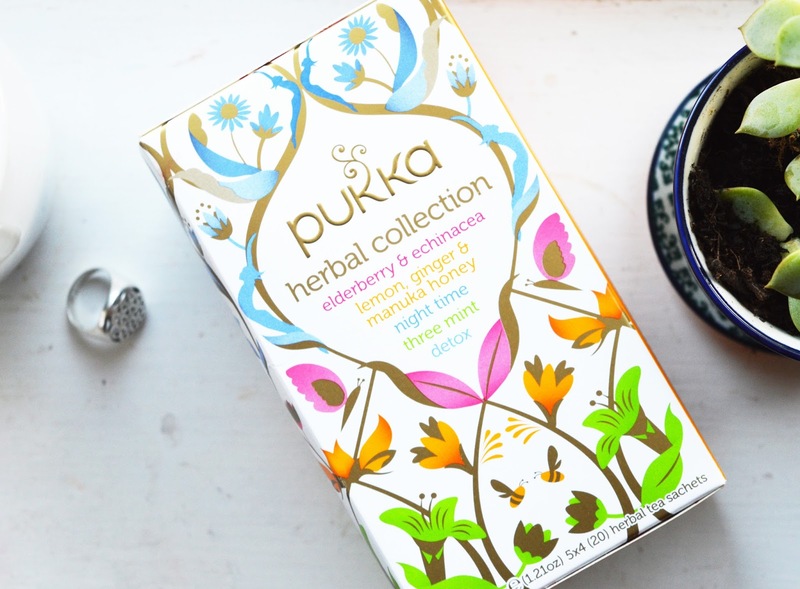 Some herbal teas can be hit and miss as even when they're brewed for a long time, they don't hold much flavour in the mug but Pukka have their brewing techniques down. 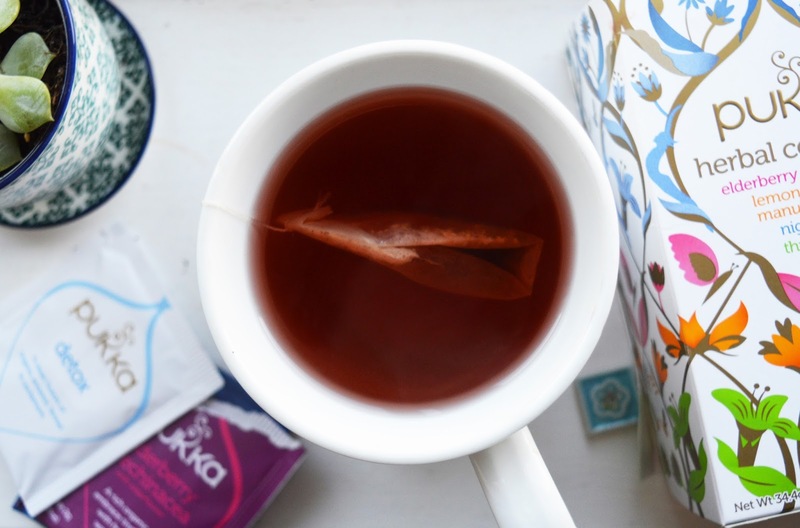 Elderberry and Echinacea: A bold, fruity berry tea with a slightly tangy kick. Lemon, Ginger and Manuka Honey: Warming, sweet (especially on the throat) and not too bitter or spicy. Really good for when you have a cold! Night Time Blend: Super calming and relaxing, more herbal and flowery than the others. Tastes subtly like chamomile. Three Mint Tea: Refreshing and relaxing. Cooling (even though it's hot!) and really flavourful. Detox Blend: Similar to the night time tea. Sweet, herbal with a tiny hint of aniseed. Thankfully, none of these teas have laxative effects like Bootea etc (seriously please don't drink those, they're so bad for you), although I'm sure anything consumed in large amounts can't be good for you. 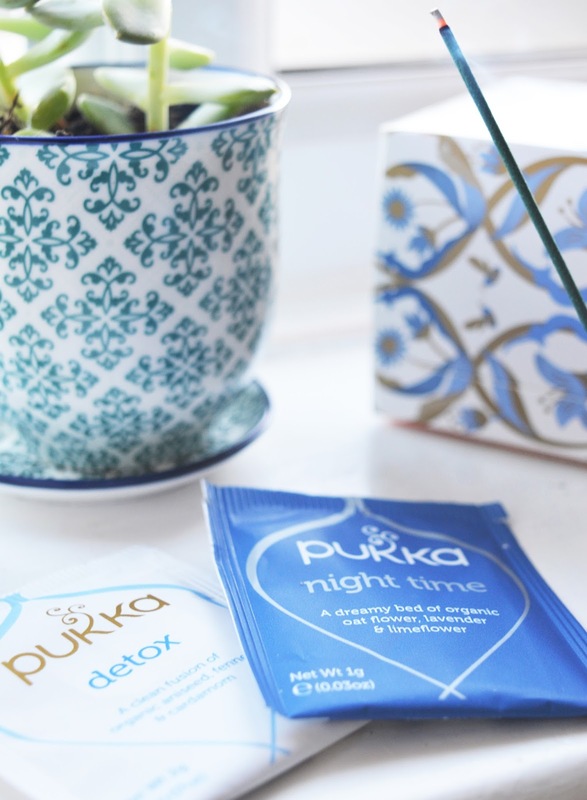 Most of the ingredients in Pukka teas are organic, all ethically sourced and every bag has individual brewing instructions on the back so you know you're getting the most out of every infusion. 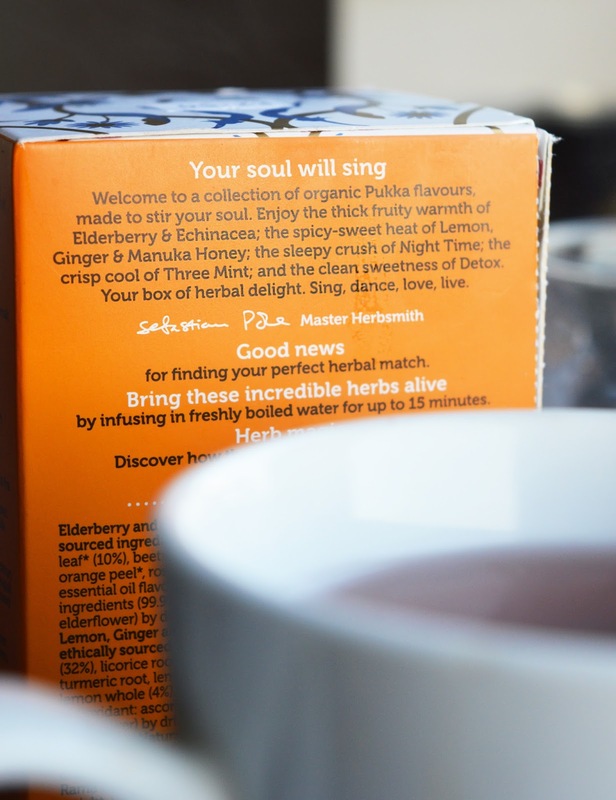 I've tried a lot of teas, heck yea, and Pukka are always a brand I'll come back to if I want real, bursting with flavour tasting tea. The only issue I have with these teas are they they don't come in loose leaf as far as I know! 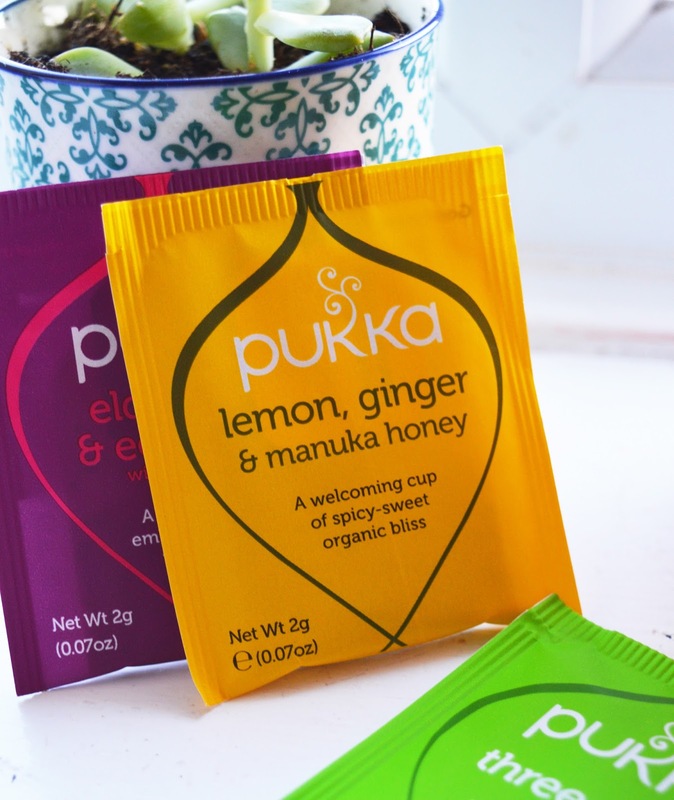 I'm trying to be a little more conscious of packaging and waste and would love it if purchasing Pukka didn't mean another few non-biodegradable teabags on the planet.